Last Friday, Bitcoin quotes, as well as most altcoins, went up. The price rose to the level of 3593.75 (Murrey [3/8]), where it is now. Experts link the overall strengthening of the cryptocurrency market with comments of representatives of the US Securities and Exchange Commission (SEC). Commissioner Robert J. Jackson Jr. noted that the approval of an ETF for Bitcoin is inevitable because there must be a company that will fulfill all the requirements of the regulator. Later, commissioner Hester Peirce noted that tokens sold for use in a functioning network, rather than as investment contracts, should "fall outside the definition of securities". Currently, the growth impulse given by the SEC comments seems to be exhausted. After the consolidation below 3593.75, the price will continue to gradually decrease to 3437.50 (Murrey [2/8]) and 3281.25 (Murrey [1/8]). This is confirmed by Stochastic, which begins to reverse near the overbought zone. 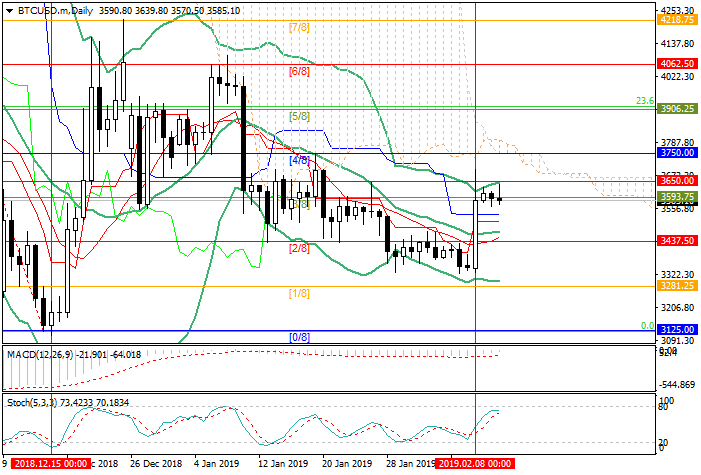 After the breakout of the February highs at 3650.00, further growth is possible to the levels of 3750.00 (Murrey [4/8]) and 3906.00 (Murrey [5/8]), but so far it seems less likely. Resistance levels: 3650.00, 3750.00, 3906.00. 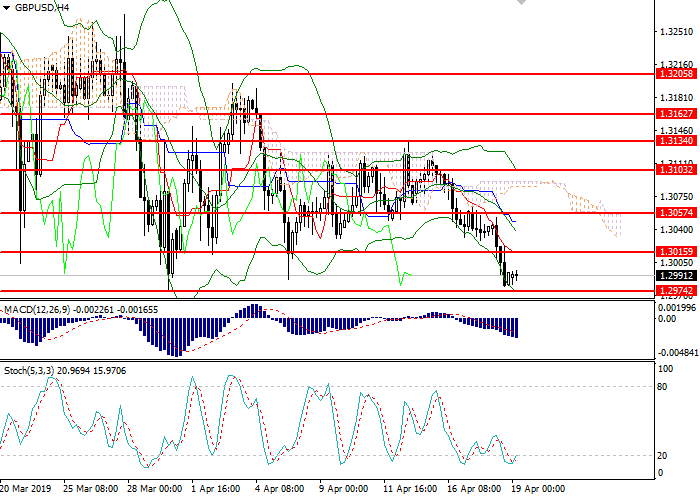 Short positions may be opened from the current level with targets at 3437.50, 3281.25 and stop loss at 3650.00. Long positions may be opened if the instrument consolidates above 3650.00 with targets at 3750.00, 3906.00 and stop loss at 3580.00.